With Movedo Theme you can customise the Top Bar as you wish under Theme Options > Top Bar Options. For starters you can either have or not have it active, depending on how you like your website. Top Bar Spacing : You can set a custom spacing for top & bottom margin as you wish. 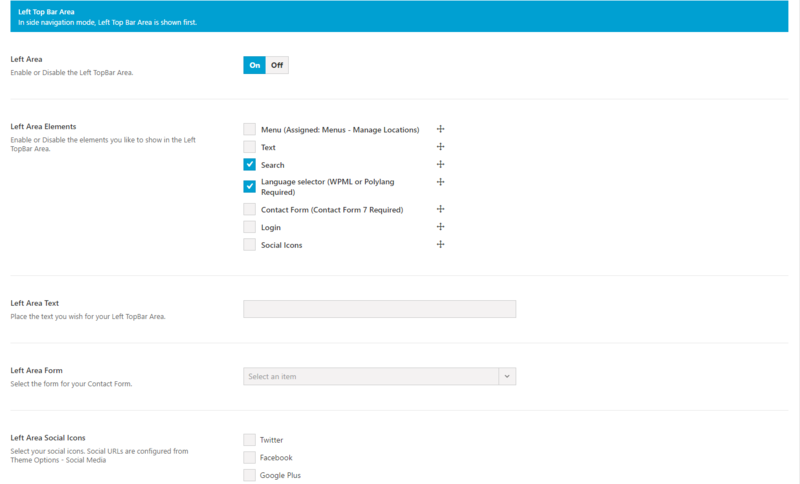 Top Bar Full Width : You have the option to have a full-width top bar. There are 2 independent left and right top area bars you could use. Menu: Assigned under Appearance > Menus > Manage Locations. Text: You could add some custom text. Search: Opens the Search function. Language Selector: You can change the language shown in case of a multilingual site (WPML or Polylang required). 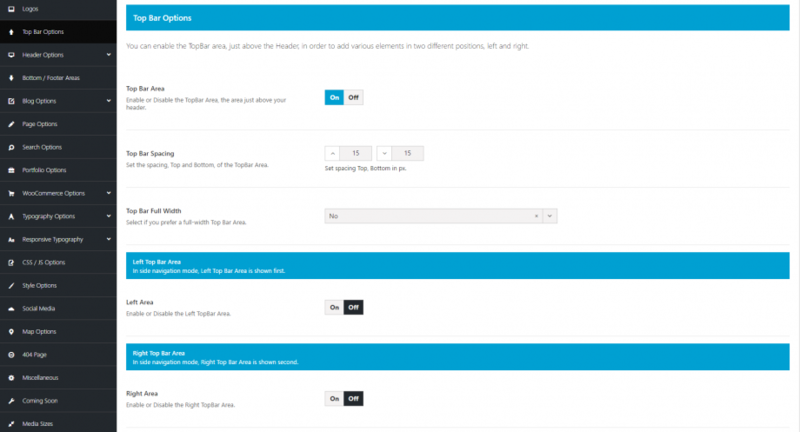 Contact Form: Opens the Contact Form function with multiple styling options to choose from. Social Icons: You can choose which social icons you want to be shown. Last but not least, you can set the colors for the TopBar via the Theme Customizer (Appearance > Customize).